The lights dim, the cymbals beat, and the guitar begins. Right from the word go, there’s an energy about this — a foot-stamping, driving rhythm from front left of the stage. It defines Monday Morning, the opening song, and it runs all through the show. 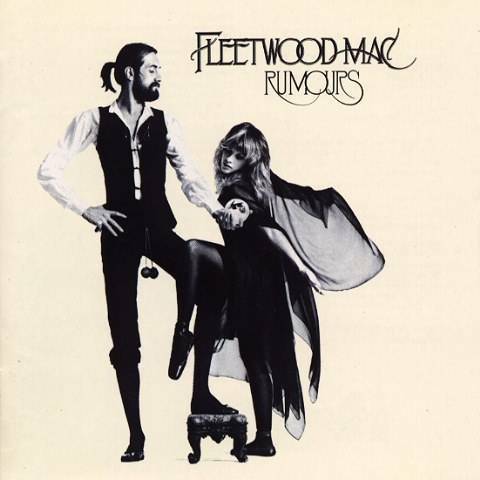 And the truth is that I’ve listened to Fleetwood Mac for two decades and more, but it never struck me until now. 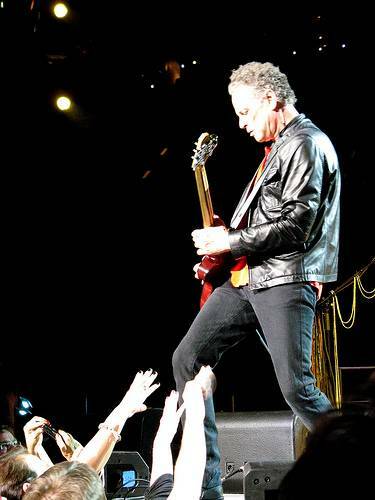 Lindsey Buckingham is a rock star. There’s just no doubt about it. My kids know Fleetwood Mac mainly from Guitar Hero, which features the iconic solo from Go Your Own Way. And suddenly that seems appropriate, for Guitar Hero is exactly what he is. All through those years, and like any other red-blooded male within the universe, it was always Stevie Nicks who held my ear and caught my eye — her west-coast voice tripping crystal visions of California, from far across a continent and over a wide ocean beyond. The sound of warm sun and open freeways and emotional heartbreak which I’d happily have stepped in to solve. That voice still sings the songs I loved so well. 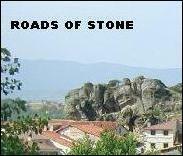 Dreams, sublime and echoing new harmonies across the years. Rhiannon, her dark witch safe within. Sara, a tale of loyalty and betrayal. Landslide, simply a perfect reflection on redemption. These songs alone are worth a lifetime’s wait to see Fleetwood Mac play live. The history of Fleetwood Mac has been told in more rock magazines and media profiles than I could count. 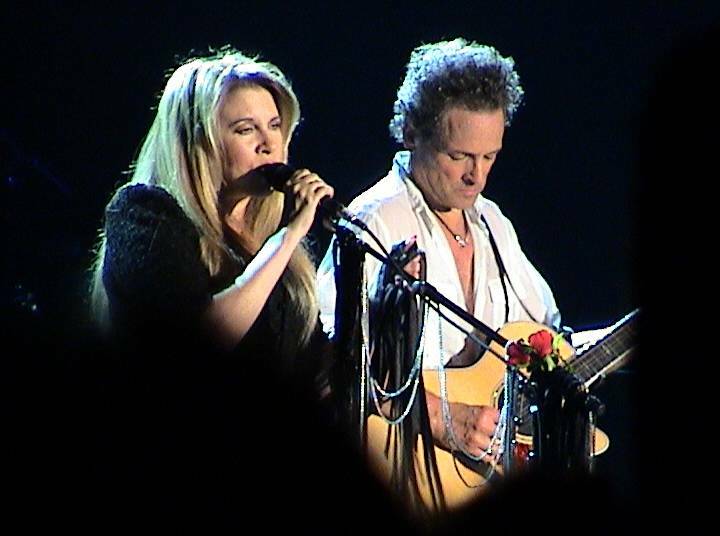 Legend tells how a demo track by Buckingham and Nicks chanced into Fleetwood’s ear, while he was cruising the studios in search of a replacement guitarist after the departure of Peter Green. History continues as first John and Christine McVie, and then Buckingham and Nicks, endured break-ups through the very sessions when Rumours was cut to vinyl — heartbreak which defined the unique emotional intensity of those songs. That tension underpins all their output from front of stage. But behind the lights it’s a different story. There sits Mick Fleetwood, the archetypal drummer’s drummer, with long ponytail, shorts and earring, looking like he’s left his VW camper van parked just outside. In the shadows lurks John McVie, backbone of the band, his consummate bass always vital to the sound. He takes a brief spotlight to open up The Chain and then recedes, anonymous and unassuming beneath his white flat cap. The contrast with Buckingham’s towering presence just couldn’t be more acute. Standing, strutting, soloing — Lindsey simply steals the show. I’m sad to say I never really liked those annoying songs from Tusk, and even the cleverly constructed guitar pickers from Rumours would mostly leave me cold. 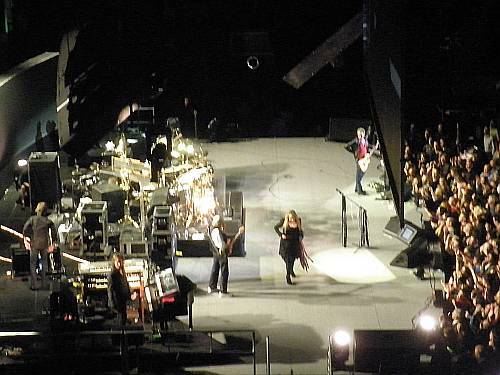 In a band with three song writers — Buckingham, Nicks and Christine McVie (now retired from the band, but in the London audience tonight), it didn’t seem to matter that much — since a great song would never be far away. Because it’s true. John McVie might be the most under-rated bass player of our time, but Buckingham is a genius, and somehow I never realised it until tonight. All those tricky songs are played out of their skins by the man who wrote them, whose perfect riffs gave all the other songs their shape. Best song of the night is — unquestionably — Buckingham’s Big Love. Buried on the 1987 revival album Tango in the Night, better known for its Nicks and Christine McVie compositions, tonight we hear the song with different ears. Big Love is transformed into a wild lament on Spanish guitar, picked with a demonic intensity within an atom of existence. Throughout its spell-binding, flawless execution, Wembley lies in silent thrall to the haunting echoes of Buckingham’s decade-long emotional desolation after he and Nicks had parted. Later on, we hear a dark and fiercely brooding rendition of I’m So Afraid, and a rocking Don’t Stop — perhaps the most famous Fleetwood Mac song of all, following its adoption by the Clinton Presidential campaign in 1992. But as my second favourite performance tonight I’d pick Gypsy — from the little-played album Mirage, it’s another track I never knew that well. In her introduction, Stevie Nicks tells the story of the song — remembering the days when she and Buckingham toured California as support act to the great rock bands of the 70s, glancing back to her excitement in the moment when Lindsey first invited her to play with him. And suddenly, rock history falls into place. Because the defining story behind this mesmerising show lay surely in that call. From the moment when the Guitar Hero found the Gypsy, genius and charm were fused indelibly together. They shaped the sound of Fleetwood Mac. And they’re still on stage today. 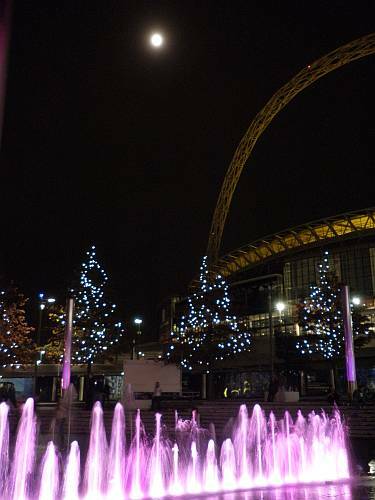 This entry was posted in 2009, concert review, heroes, London, music. Bookmark the permalink. I’ve long loved Fleetwood Mac, but am more familiar with the older albums (you might guess). Will have to update myself! Thanks, Silver Fox, although fortunately there’s not much updating to do. The Unleashed world tour, which I witnessed on its very last night in London last month, was built around all their oldest, best-known songs. With no new album to promote, Fleetwood Mac simply set out their favourite setlist, much to the delight of everyone who went — including me. I still think Tusk is one of the freshest, most innovative pop albums I’ve ever heard. Also saw them once live at the Cotton Bowl in Dallas, in a fairly crowded festival setting with too many bands on the bill — perhaps not the best way to see them or any band, but they didn’t disappoint. Thanks for sharing! Thanks, Ed, and how great to hear from you. It was a wonderful concert, and even as a fan, I was completely blown away. Tusk always had its moments, and it was a real treat to hear not just Sara, but Storms added to the setlist as well — that song always was marvellous. 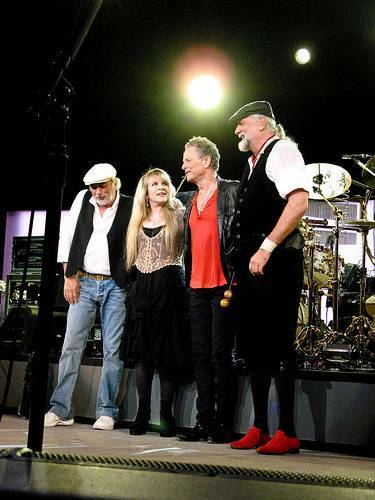 One great thing about Fleetwood Mac is how we can claim them on both sides of the Atlantic. Their creative muse may sit firmly in California (as this post sets out) but the engine room is still driven to a British beat. 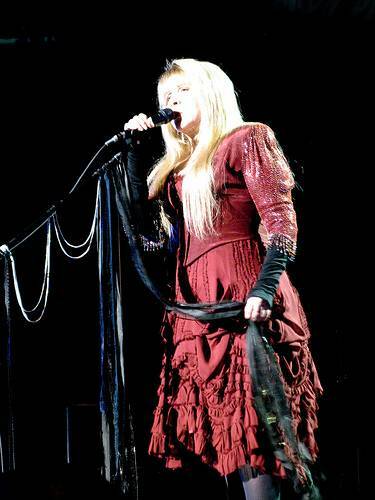 There’s a moment on my copy of Fleetwood Mac Live where Stevie Nicks dedicates Landslide to the concert audience in London ‘Because you’ve very special to us’ — and that affection has always worked both ways.